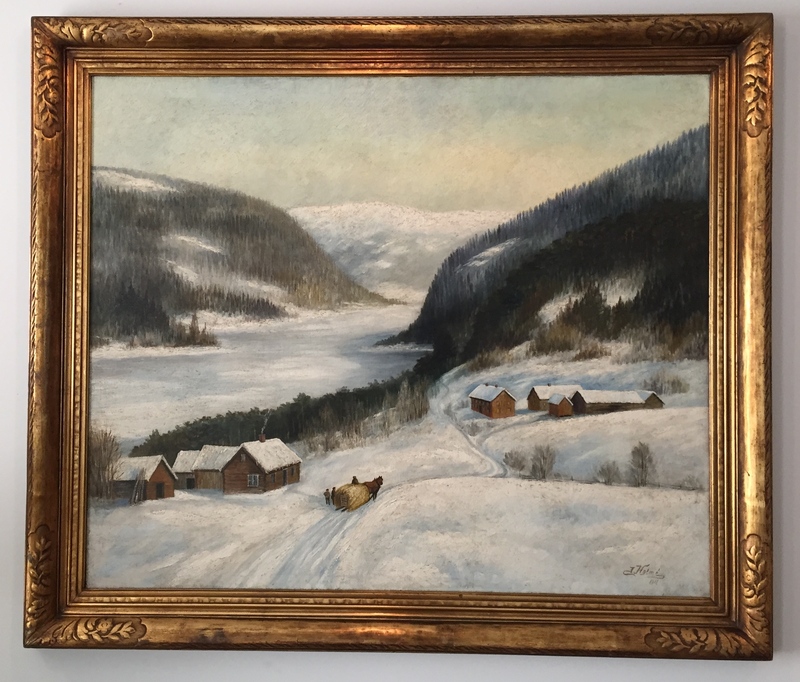 This painting came in with extensive ash and soot residue, the result of a fire, which proved to be more challenging due to the subject matter, a winter scene. 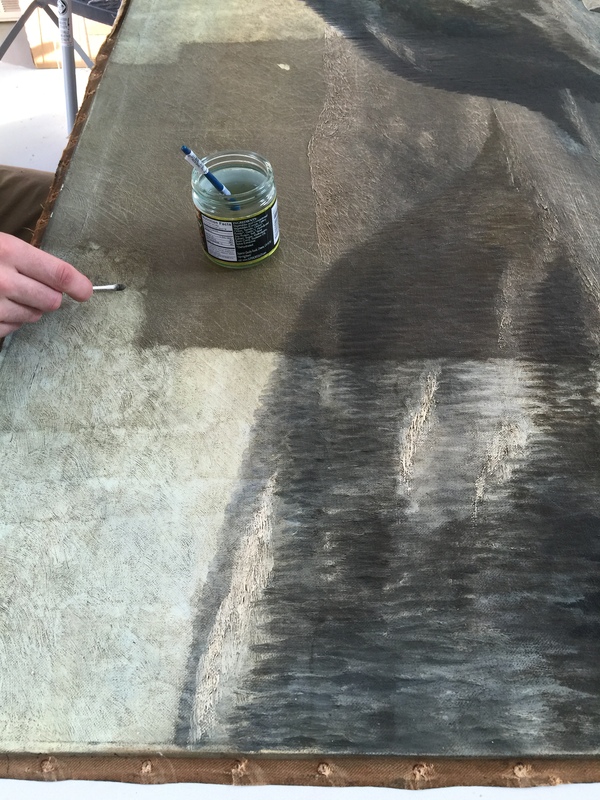 Miller Fenwood treated it with a three-part cleaner, utilizing restorer’s chemistry. The original canvas had several holes in it. Miller Fenwood re-lined the canvas with new Belgium linen. 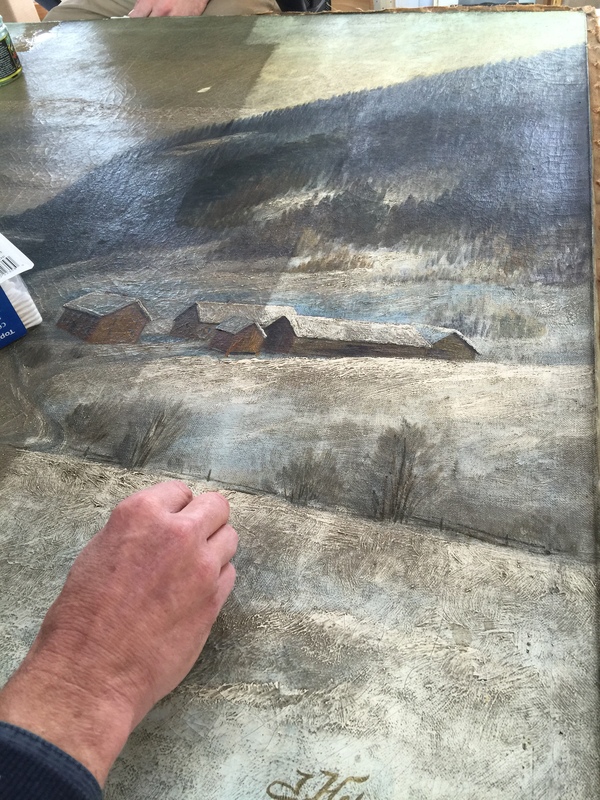 Conservation was finished with satin varnish. James Holmes flourished in the 1890s, and resided in Kansas City.